Hi, I’m interested in New PR trailer sloper tippers. Please contact me. Thanks! New PR trailer tri axle sloper tippers for sale. 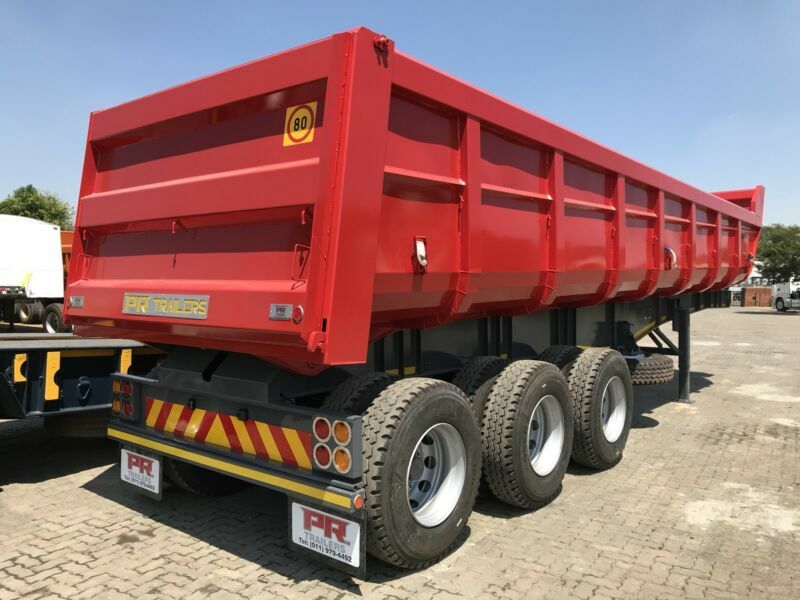 30m3 capacity with mechanical suspension from R385000 excl. VAT. Various used trucks, new and used trailers as well as used plant / yellow equipment in stock. We export at zero VAT. We have a wide variety of new and used trailers,used trucks and plant machinery. # Finance available on selected models. WHETHER YOU HAVE A TRUCK, A TLB, AN EXCAVATOR, A SKIDSTEER, A DUMP TRUCK, A CRANE, A CHERY PICKER, A BRICKLOADER, OR ANY OTHER HYDRAULIC OPERATED MACHINERY OR EQUIPMENT, WE ARE HERE FOR YOU.